From Compultense University in Madrid, Spain, Dr. Christina Sanchez has been studying the anti-tumor effects of THC, the main psychoactive component of cannabis, for over a decade. She delivers sound information that explains exactly how THC kills cancer cells entirely – without adverse effects to healthy cells. Liu points out that pharmaceutical companies spend billions on drugs that do the very same thing, while the cannabis plant does it naturally. 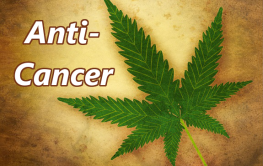 In the following video, Dr. Sanchez explains exactly how THC does the dirty work of eliminating cancer cells by activating the body’s own cannabinoid receptors, creating endocannabinoids. What’s more, is cannabis can do this without any psychoactive effects. Surely they knew it could treat cancer too. In Hindu texts cannabis was known as ‘sacred grass.’ It has also been used in traditional Chinese medicine for centuries. 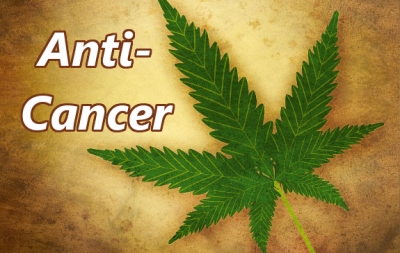 Cannabis can replace toxic medications, and drastically reduce pain. Dr. Sanchez’s studies just add to the age-old wisdom surrounding the medicinal use of this phenomenal plant. Dragging their feet while the pink ribbon suckers keep rolling along! How sad is it that our world is run by money and greed, as this proves once again! very true issyco. these cancer council criminals are still asking for donations for a cure which has been worldwide known for years and many thousands have cured their cancer with cannabis oil. thanks to rick simpson who deserves a nobel prize. I am Hindu and the “sacred grass” in Hindu scripture and worship is “kusha” grass not even close to the same genus as marijuana. I am not aware of any Hindu spiritual path that includes marijuana use of any kind let alone being in the Vedic scriptures. Nor am I aware of any Hindu healers ever using marijuana in their practice. There are many plants that heal that Hindu’s use and the basic healing understanding is that the foods we eat daily are our medicine for a healthy mind, body and soul. jesus used the anointing oil which comprised mainly of cannabis oil which is why people felt better after it was administered to them. they saw the light. I often referred to congress as treasoness for this very reason. The illegal action of criminalizing so beneficial a plant is literally treason. It was so back in the late 30’s and it is still so today. Onions, garlic, turmeric do all this with no psychoactive effect and kills the bacteria causing your body order. Very true tmas; (but you can’t make clothing, fuel and cooking oil, rope, automobile bodies stronger than steel, 2×4’s etc, stronger than wood or steel, the list goes on), out of the fine foods you mentioned. This is why the drug, cotton, steel, etc. industries have been fighting to keep even non narcotic hemp off of the market. Too much competition! Back about the time the Declaration of Independence was written on hemp by Thomas Payne, (and re-written) by his good friend Thomas Jefferson, farmers were required to put aside at least 5 acres to grow hemp for paper. They obviously are being controlled by the people that stand to loose a lot of money! !Keeping people sick and hanging on ,is a huge moneymaking racket!!! !Do you really think. these people are going to admit and. deny!